The loss of someone close to you is a natural part of life. It can be just a friend moving to a new city where their job takes them, or the death of a loved one with whom a long life was shared. The result can be a sense of abandonment. Dealing with feelings of abandonment can be very stressful. While professional help is important in severe cases, the use of crystals can be very beneficial in dealing with natural feelings of abandonment when separation from loved ones is causing stress in your life. Orange Colored Crystals Bring You Joy, Friendship, Pleasure, and Family Togetherness. To deal with abandonment or desertion by a loved one or friend, use a dark orange crystal. Orange is a happy, outgoing, and sharing color. It brings things and people together. It integrates the parts of our communal lives. It is the “home stone,” the “village stone,” and the “community stone.” Darker shades of orange deepen the sense of belonging and home – feelings that help cope with feelings of abandonment. If you are lucky enough to find a powerful deep orange stone, use it as a “home stone” by placing it centrally in your house to ensure the hospitality of home and hearth. We suggest using dark orange crystals like a Carnelian or a dark orange Spessartine garnet, for they have the color rays of home, hospitality, and belonging. Carnelian is a stabilizing crystal, perfect for anchoring in the present. Its high energy helps restore lost vitality and motivation, and stimulates creativity for new pursuits. It improves concentration and removes extraneous thoughts in daydreamers, and during meditation. This stone also protects against envy, rage, and resentment - yours, or from others, and encourages a love of life. It is useful for overcoming abuse of any kind; helping you to trust yourself and your judgments. The energies of Spessartine vibrate at a high rate, imparting a willingness to help others and strengthening the heart. Spessartine also stimulates aspects of creative abilities and energies, encouraging one to take action toward one's dreams, visions and goals. Carnelia's bold energy brings a rush of warmth and joy that lingers, stimulating and empowering. Known as a stone of motivation and endurance, leadership, and courage, Carnelians have protected and inspired throughout history. Spessartine garnets are energy enhancers, and givers of joy. They are helpful in of the sacral chakra. They are one of the stones of the children of Aquarius, and they are said to be helpful in attracting commitment and understanding. Judy Hall also recommends Uvarovite for dealing with solitude. Uvarovite is a dark green garnet that Cassandra Eason tells us assists in healing emotional wounds. Uvarovite promotes individuality, independence, and optimism. Uvarovite stimulates the Heart Chakra and enhances spiritual relationships. Diane Stein finds rose colored stones helpful, too. This is the color ray of determination, commitment, and caring. Rose is the color of new love, new romance, and new relationships. It is particularly powerful in Seeker and Attractor crystals. Nicole Lanning of Healing Art Forms tells us "For abandonment issues, you want to make sure you have a Rhodonite crystal." Anji Gill-Jennings of Twisted Tree tells us "The Dioptase is unequalled in helping in the healing of the deeply hurt heart. Dioptase nurtures that part of the self that has been emotionally abandoned whilst experiencing life's heartaches." Brenna Coleman writing at Suite 101 shares this view. She tells us talking about Dioptase, "This deep blue-green healing gemstone can act to heal emotional suffering and heartache due to losing someone. It is good for alleviating grief, abandonment, and betrayal while also promoting a positive outlook on life." Dioptase is primarily used as a talisman to aid efforts to grow physically stronger and to aid in efforts to secure a sound financial future. It is also used healing efforts involving the Heart Chakra. Abandonment whether physical separation or emotional distancing can be very debilitating. Please seek professional care for serious issues. Use dark orange crystals for helping cope with feeling of abandonment. 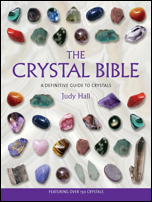 Or perhaps try the crystals other writers have found effective, including dark green crystals such as Uvarovite and Dioptase.